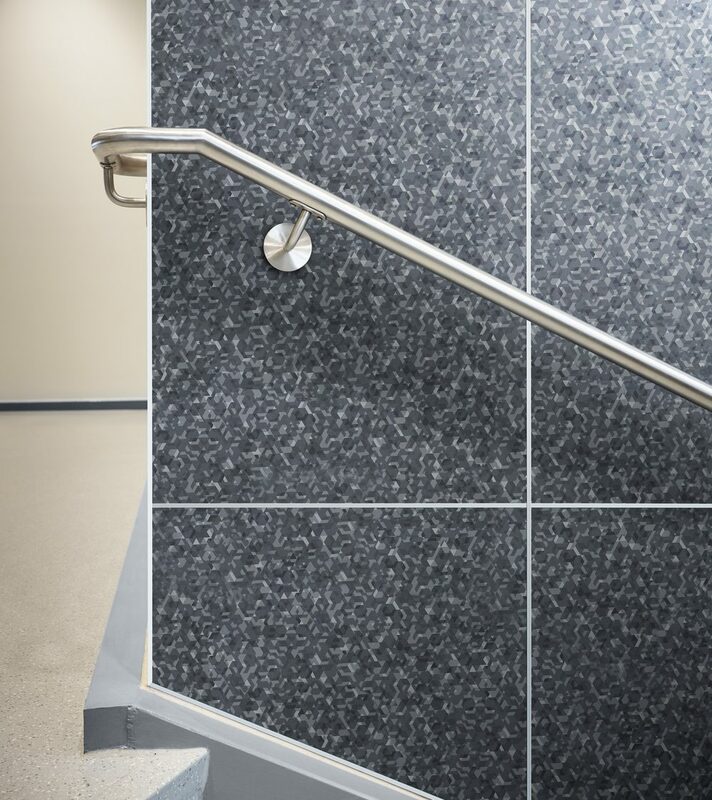 by Brianna Crandall — January 28, 2019 — Formica Corporation, a provider of innovative surfacing solutions worldwide, is today introducing a new line of high-performance wall panels featuring a fiberglass core for added durability, strength and fire resistance. HardStop panels offer a solution for areas that demand superior protection and ease of maintenance and installation. The panels are available in the full spectrum of Formica Brand colors, allowing for color coordination with other Formica Laminate products. Today’s commercial spaces need to be strong enough to stand up to the rigors of daily use, while also providing an inviting and beautiful décor. With HardStop panels, there is no trade-off between aesthetics and durability. It offers the highest level of fire protection and supreme durability, while allowing design professionals to create interiors that reflect the latest color and design trends. Easy to install, HardStop Panels are designed to be applied directly to a variety of substrates, including drywall, bringing additional strength and style to vertical applications and settings. To learn more about HardStop Decorative Protection Panels, visit the Formica website. The Formica Group of companies is part of the International Business division of Fletcher Building.